Thank you for supporting our Rose sale!! We are so excited to make Wednesday a special day for so many! Celebrate your Administrative Professional on April 24th with a dozen beautiful roses! Don’t miss out on this opportunity to buy an Administrative Professional a beautiful bouquet of roses for only $25! Proceeds benefit your community. 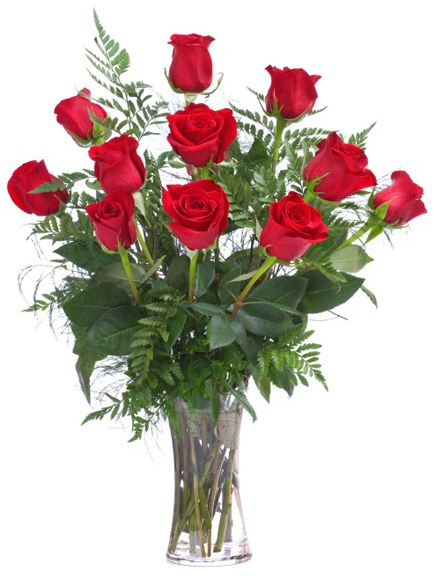 Each bouquet of twelve long stem roses comes in a vase with bow and greens, provided by LAURA’S FLOWER SHOPPE. A member of the Exchange Club will deliver to your office! Must have an order of 10 or more dozen for delivery outside 5-mile radius of Round Lake Beach. If you’d like, you may also pick up your order from Laura’s Flower Shoppe, 90 Cedar Ave, Lake Villa, IL 60046. Phone 847-356-1150. Orders must be placed by April 17, 2019. Thank you fo your support! The order window is closed. We hope to see you back next April!